The conference, held at the UC Davis Olive Center at the Robert Mondavi Institute in Davis, California, brought together nutrition and preventive medicine experts from around the world to present the latest scientific findings on the health benefits of olive oil consumption and the role of olive oil in the prevention of chronic disease. Following are a few highlights from the presentations. For more details about specific information, the full presentations are available to view online. Visioli has spent decades researching the mechanisms of action of olive oil and its components. The first piece of evidence relating olive oil to lower risk of cardiovascular disease concerned inhibition of the oxidation of low-density lipoprotein (or LDL cholesterol, also known as “bad” cholesterol) molecules by two polyphenol molecules contained in olive oil (oleuropein and hydroxytyrosol). 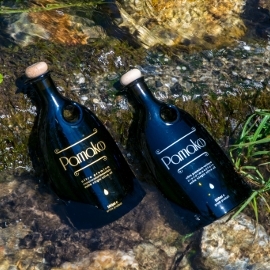 Subsequently, researchers obtained proof of dose-dependent absorption of olive oil polyphenols and of their many potential health-beneficial activities. Now, Visioli reports, thanks to technological advancements, new evidence of the beneficial cardiovascular effects of olive oil polyphenols has come from techniques of nutrigenomics and proteomics. Toxicological tests that allow for the status of “novel food” and the incorporation of such molecules into functional foods are available as well. By merging the results of large epidemiological studies with human trials and basic mechanistic studies, scientists have been able to shed new light on the diverse beneficial actions of the foremost source of fat in the Mediterranean area. As part of the Heart Healthy Hoods (HHH) project funded by the European Research Council, Franco and his team are studying the association between Mediterranean food environments (characterized by a diversity of small food stores and public markets) and adherence to the Mediterranean diet (of which olive oil is a key component), and related chronic diseases. Their research suggests that Mediterranean food environments may help improve diets and thus reduce the risk factors for heart disease, including hypertension, diabetes and obesity. Toledo was lead author of a 2015 JAMA Internal Medicine paper examining the effects on breast cancer risk of a Mediterranean diet supplemented with extra virgin olive oil. 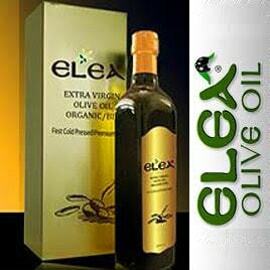 She states that while evidence of the beneficial effects of extra virgin olive oil consumption is strongest for breast cancer prevention, other studies have shown potential beneficial effects on colorectal cancer, bladder cancer, upper aero-digestive tract cancer and ovarian cancer as well. 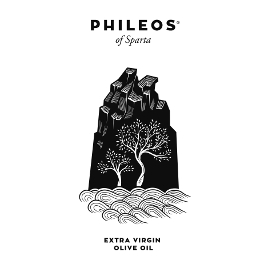 These potential beneficial effects have been attributed in large part to minor components of olive oil that are present in higher concentrations in extra virgin varieties. According to Luchsinger, a growing body of data from large epidemiological studies suggests that better adherence to the Mediterranean diet is associated with a lower risk of cognitive decline and dementia. The PREDIMED-Navarra trial, for example, found that a Mediterranean diet supplemented with extra virgin olive oil was associated with better cognitive function in comparison with a control diet. Researchers observed better post-trial cognitive performance in all cognitive domains and significantly better performance across fluency and memory tasks for participants allocated to the Mediterranean diet as compared to the control group. In addition, Luchsinger reports that in recent systematic reviews of the available scientific evidence on dietary habits and depression risk, a dietary pattern defined by a high consumption of olive oil, fruit, vegetables, whole grains, fish, low-fat dairy and antioxidants but low consumption of animal foods has been associated with a decreased risk of depression. Martínez-González was coordinator of the PREDIMED Research Network, which conducted the first primary prevention trial of heart disease through a dietary intervention based on the Mediterranean diet supplemented with either extra virgin olive oil or tree nuts versus a control (low-fat) group. The initial results of the study, published in 2013, revealed that both intervention diets showed a roughly 30 percent reduction in hard cardiovascular events (heart attacks, strokes or cardiovascular deaths) after five years of follow-up. Newer methods of analyzing these data using causal inference approaches show even stronger reductions in this risk: the risk of developing diabetes among participants who were free from diabetes at baseline was 40 percent lower with the Mediterranean diet supplemented with extra virgin olive oil as compared to the control group, and a similar reduction was observed in the risk of developing atrial fibrillation. Changes in body weight were also observed, and according to Martínez-González, preliminary data from the PREDIMED-Plus trial, an ongoing cardiovascular primary prevention trial, support the long-term sustainability of weight losses obtained with a Mediterranean diet rich in olive oil. Willet, a prolific author and the most cited nutrition scientist internationally, has conducted extensive investigations into the relationship between dietary fat and cardiovascular disease. In recent large prospective studies, he reports, trans fatty acids have been found to be most strongly predictive of heart disease, saturated fat and typical forms of carbohydrate are similarly related to risk, and both monounsaturated and polyunsaturated fatty acids are related to lower risk of heart disease. These findings are consistent with effects on blood lipid fractions, and similar associations are also seen with total mortality. This large body of evidence, Willet argues, strongly supports elimination of partially hydrogenated fats, and replacement of animal fats and highly saturated plant oils with primarily unsaturated plant oils that include omega-3 (present in walnuts) omega-6 polyunsaturated fatty acids (seed oils) and monounsaturated fatty acids present in olive oil. In his research, Hu has seen substantial scientific evidence that diets high in olive oil improve cardiometabolic risk factors and reduce Type 2 diabetes risk, potentially due to the monounsaturated fatty acid content and high amounts of polyphenols in olive oil. One intervention study, for example, showed that individuals assigned to a Mediterranean diet supplemented with extra-virgin olive oil had significantly reduced risk of Type 2 diabetes compared with a control diet. In another study, in U.S. women, total olive oil consumption, as well as the substitution of olive oil for other types of fats, was inversely associated with Type 2 diabetes risk after adjustment for other dietary and lifestyle factors. Hu argues that in 2018, considering the health problems that currently account for a greater part of the global burden of disease (heart attacks, strokes, diabetes, cancer, obesity, dementia, depression), a Mediterranean diet rich in olive oil seems to be the healthiest option. 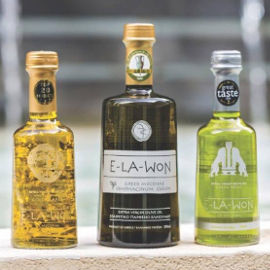 The International Olive Council (IOC) brings together olive oil and table olive producers and consumers from around the world. 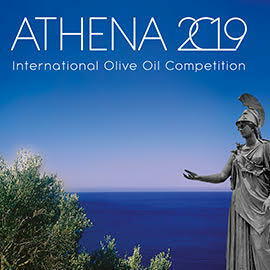 The only intergovernmental organization of its kind within the industry, the IOC is uniquely positioned to provide authoritative, educational, timely, and relevant information on all things associated with olives and olive oils. Since its establishment in 1959, the IOC has played a critical role worldwide in promoting its industry. Based in Madrid, Spain, it contributes to the sustainable and responsible development of olive growing, and it serves as a global forum for discussing policymaking issues and tackling a host of challenges. 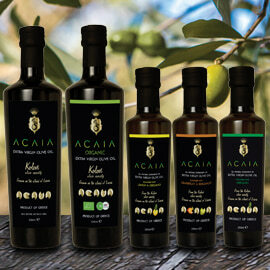 Visit www.internationaloliveoil.org for more information. Thanks to the IOC for this press release and the photos used with the article.